My buddy is one of the best networkers around. He’s got people everywhere and for anything. Need a “container guy” (a guy who sells shipping containers)? He’s got one. Need to reach the head of a major healthcare system? Check. So when he was approached to help build traction and sales for a new product for pets – he knew everyone. Product was ripe for ABC’s Shark Tank. He knew a guy who could get the company on-air. In fact, they started on the path of filming. Reached out to several local businesses as points-of-sale for the product – 1000 units preordered. Went to community events and locales to interview prospective consumers – got hundreds of great feedback and buying interests. Secured seed investment to make production runs. He had agreed with the founders of the idea/ company on his compensation structure – namely, equity in the company based on milestones to which the founders agreed. After all the sweat and time spent to bring the company to executing on the funding, start filming, start production, the founders back-pedaled on everything. My friend never had a contract in place. The founders started sweating about equity only after he captured traction and pre-orders. Needless to say, my buddy pulled out of the opportunity. Funding never occurred. The lots of product that was produced later sits in a storage unit. Never start without a contract. Similar to the entrepreneurs I spoke with months ago, being explicit and documented in expectations early on helps mitigate problems that willarise when there’s an inkling of success. Know who you’re getting into bed with. Startups are difficult, and having the right team in place for success is sometimes serendipitous but needs great consideration. The early team should be aligned as the culture starts from the beginning. Inventions are not businesses. Companies have products, but they don’t necessarily have revenue. Companies only exist as long as they stay solvent. The founders of the company believed having a product automatically equaled sales. Nope! 100% of 0 is 0. I remember at Body Bosswhen we were a bit greedy in sharing equity with a potential strength coach to become an Advisor. We didn’t end up asking him to be an Advisor and saved our ownership. Problem is that he ended up becoming the strength coach of the year and a Super Bowl coach while we kept 100% of a shut-down company. Your brand persists through ups and downs. My buddy made sure to meet face-to-face with each retailer he presold to to tell them the company wasn’t moving forward. He had to go back to his main investor to stop the check. As hard and shameful he felt about not moving forward, he ensured his contacts were in-the-know. His personal brand is fully intact and even strengthened due to his integrity and honesty. My buddy is a great sales professional. He’s a great networker. Even though this opportunity fell through, he has many more opportunities available. But now, he approaches them with a lot more diligence. Onwards and upwards with more finance learnings! Part 3… yes, that means I’ve effectively kept this learning thing going for three months already. 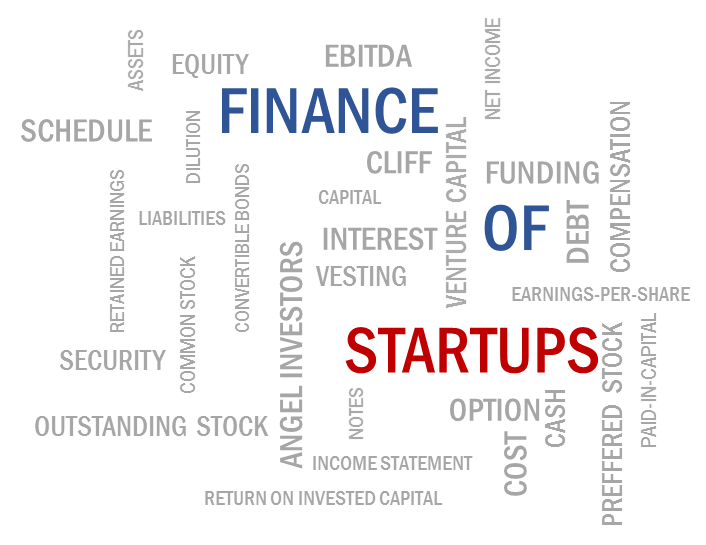 I’ve learned a ton about finance itself, and some of its roles in startups. What’s happening? As you can see, if Hugh invests $10M at a pre-money valuation, the company is then valued at $60M after the investment. Hugh’s equity stake is 16.7% because the company is valued at $60M ($10M + $50M) à$10M/$60M = 16.7%. With a post-money valuation, Hugh is investing his $10M into a company valued at $50M which is already including his investment. Thus, Hugh has a 25.0% equity stake in the company. 8.3% can mean a lot of money on the table for either side – the investor or the company when going public or some other liquidation event. Ah, another pretty “straight-forward” financing metric. Straight-forward in that its name is exactly what it is… “earnings” per share; where share is the number outstanding shares. Note: outstanding shares is the number of shares issued to company officials, stock holders, etc. Earnings is the net earnings less taxes and dividends paid out to preferred stock owners (recall from Part 1 that preferred stockholders receive dividends before any other common stockholders). EPS is a metric used as a gauge for how well a company is performing, and evaluate the performance of a company to its shareholders. Mostly up to now, I’ve shed more light on equity financing. In the startup world, equity financing makes the headlines like Yik Yak raising $61M or BitPay raising $30M back in May 2014. As a recap, with equity financing, companies are exchanging ownership in the company for capital (and partnership). As equity investors are investing on the potential upside of future success, they may be more lenient on recent financials with an eye on the future. Further, there usually isn’t a fixed return to investors which frees up working capital for the company. However, investors, as owners of the company, do usually get a share in the profits and have a say in the direction of the company. Debt financing is very common place in everyday life ranging from homes, cars, and of course, businesses. In debt financing, loaner and loanee (the company) agree on a principal amount + interest to be returned on a period basis for some time (or when the note (another word for loan) is paid up). The principal and interest can be marked as a fixed cost which raises the break-even point of a company (costs + revenues = 0; costs = revenues). As you can imagine, this can be a significant burden on a company’s cash flow, and thus, loaners typically require strong financials in addition to credit. On the upside of debt, the company does not give up ownership in the company, and thus, the company maintains all profits (present and future) as well as the direction of the company. Also, interest on the loan can be tax-deductible for the company. There’s obvious upsides and downsides to both equity and debt financing. Making that decision is hugely dependent on a myriad of factors for the company. Here’s the open list of topics for me to research and share starting next month. Happy I knocked a few off the list from last month. What questions, thoughts do you have about the above? Any other topics from a startup’s finance point-of-view you’d be interested in learning more about, and having me research for you?